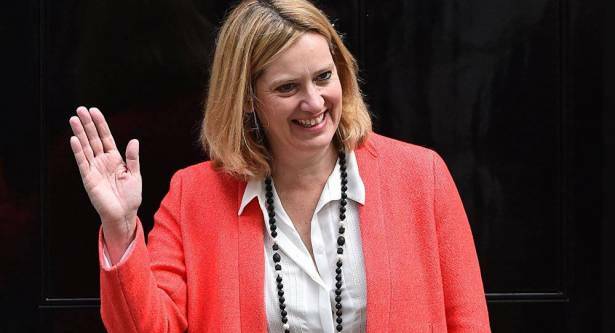 UK Home Secretary Amber Rudd has fallen victim to internet pranksters, who conned the minister into handing over sensitive personal information. Given Rudd has faced accusations of technological illiteracy over her campaign against encryption, the caper is likely to give critics much ammunition. Web rascal @Sinon_Reborn registered an email address under the name of recently appointed Downing Street communications chief Robbie Gibb, then emailed several senior cabinet members, including Rudd, Chancellor Philip Hammond and Foreign Secretary Boris Johnson, to see whether his missives would elicit a response. ​In a transcript of the exchange, dated July 7, Rudd answered the initial email via her personal email account, before eventually realizing she was being hoaxed — in response to an email asking what she was working on, the Home Secretary said "a few things" were on her agenda, but "getting tough on people impersonating others" was the most important. @Sinon_Reborn first made headlines in August after stitching up US President Donald Trump's son Eric, US Ambassador to Russia Jon Huntsman and now former White House Press Secretary Anthony Scaramucci. ​In the latter instance, Reborn posed as Reince Priebus, the White House Chief of Staff fired after when Scaramucci branded him a "f****** paranoid schizophrenic." ​"Priebus" told Scaramucci his comments were "hurtful," to which the ex-Press Secretary penned a series of sneering replies, which included barely veiled threats. He recommended the prankster read Shakespeare — particularly revenge play Othello. While Rudd evidently wised up to the con faster than Reborn's stateside victims, that she fell for the ruse at all has produced much mocking, and will likely serve as a veritable goldmine for detractors. Ever since the March Westminster attack, the Home Secretary has taken a leading role in the government's push for greater surveillance powers, in particular the ending of message service encryption, which she has called for repeatedly. However, Rudd's apparent lack of technological comprehension has frequently been lambasted by commentators. In one interview, she said the government needed to find tech experts "who understand the technology, who understand the necessary hashtags" in order to "stop this stuff even being put up" —suggesting the Home Secretary believes "necessary hashtags" can stop the posting of extremist content, and/or indeed allow the government to read terrorists' messages. Moreover, Rudd has been accused of being ignorant as to how encryption actually works. Alex Walker, Chief Technology Officer at UK cybersecurity firm Hook.ee, has said the Home Secretary "has absolutely no idea what she's talking about." "I question Rudd's credentials on the topic. Secrecy and privacy is absolutely not the same thing. Are the government going to stop people doing encryption by hand now? Encryption is indistinguishable from random gibberish — and there's no way of proving if a code is one or the other. It's impossible to uphold such stupidity," Mr. Walker previously told Sputnik.